Guide Brad Taylor finds striped bass hanging out under schools of threadfin shad whose metabolisms have been slowed by colder water. 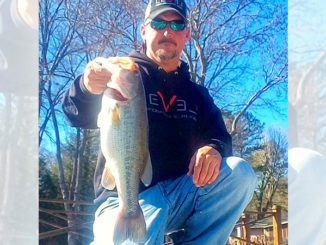 Striper fishing on Lake Murray is very good this month, and catching fish is pretty simple, according to guide Brad Taylor. The birds, mostly seagulls that have migrated inland for the winter, hover over and dive into dead and injured threadfin shad driven to the surface by feeding stripers underneath. The frenzy that erupts is a symbiotic relationship between the birds and the fish. 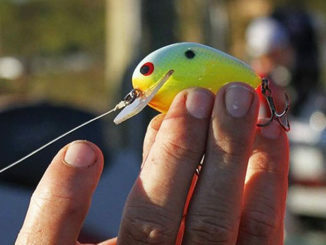 The water chilled by winter temperatures makes the shad lethargic and easy prey for the stripers gathering underneath. The stripers bust into pods of bait seeking an easy meal, and what they don’t eat floats to the surface, where it is spotted by keen-eyed birds also looking for an easy meal. 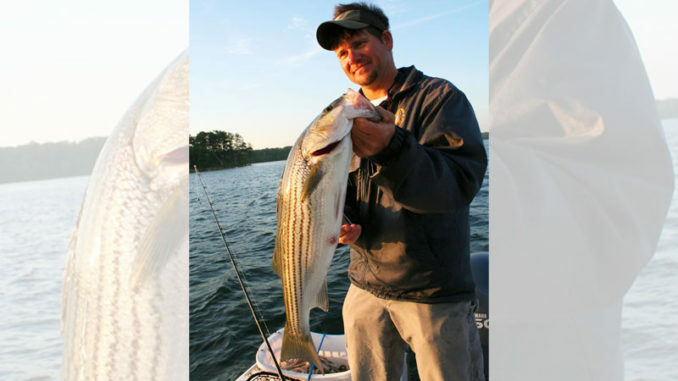 While the birds are picking up their lunch off the surface, the striper bite is not a surface bite, said Taylor (803-331-1354). Taylor said Flukes also work, and some anglers like to cast crankbaits, but he prefers the Ice Fly/bucktail rig so he doesn’t have to deal with treble hooks when the action is fast and furious. Most anglers prefer gizzard shad for bait on the planer boards, he said, but blueback herring work well also. “You can fish planer boards anywhere in the water column. There is no recipe; you just have to cover water to find out what is happening with the fish,” he said. Most of the action on stripers this time of year is found from Buffalo Creek all the way up to the Little Saluda and Big Saluda river systems, he said. 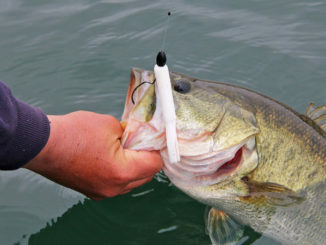 “Limits of 6-pound to 8-pound fish is very common this time of year in the schools and it is not uncommon to catch fish in the teens,” said Taylor.